Halloween is near and everyone is looking for that perfect dessert. 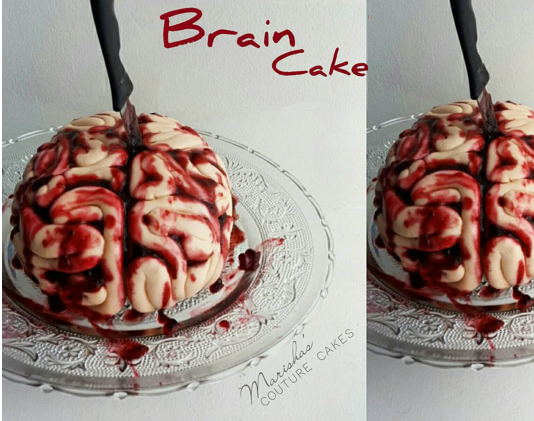 Well, this bloody brain cake will give you both a trick and a treat. Spook your guests with this easy brain cake that you can whip up in no time. 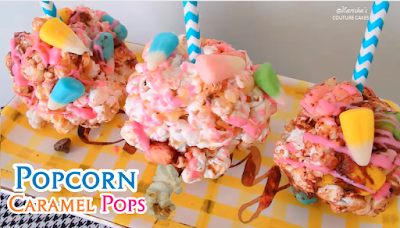 Click the video to watch the tutorial. 1. Preheat the oven to 350 degrees. Grease and flour a large metal bowl as you would a cake pan. Pour your batter (1 box or enough for two 8" cakes) into the bowl and bake at 350 for 15 minutes. Lower the heat to 325 and bake for 20 more minutes until a knife inserted comes out clean. 2. 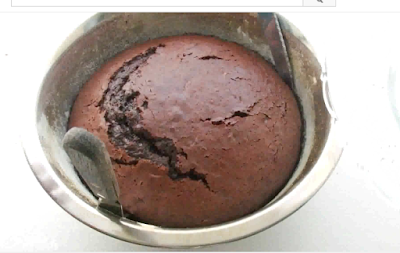 Once cooled, remove the cake from the bowl and carve away two sides (across from one another) leaving a curved edge. Continue to round the edges of the cake by carving away little pieces until you get a brain shape. One end will be slighter wider than the other end. Similar to the shape of a chicken with no legs or wings....does that help? 3. Frost the cake with vanilla frosting only applying enough to coat the cake. Then, using a large knife, mark the center of the cake lengthwise. This line will mark the left and right hemisphere of the brain. 4. 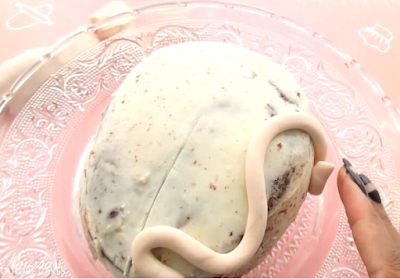 Create a tan colored fondant by using a 2 to 3 drops of brown gel dye. 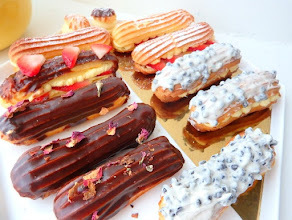 Once ready, roll pieces of fondant into logs about 1 cm. in width, or as thick as a Crayola marker. Create different lengths. 5. Begin to add your fondant pieces to the cake at random but working on one side at a time. Remember not to cross that center line. Curve some of the fondant pieces that are closest to the line for a more realistic brain. 6. Similar to a puzzle, fit the pieces of fondant together keeping them as tight as possible to avoid gaps. Every once in a while, lightly press the fondant to flatten the surface and push the pieces closer together. 7. Once you've covered the entire cake. 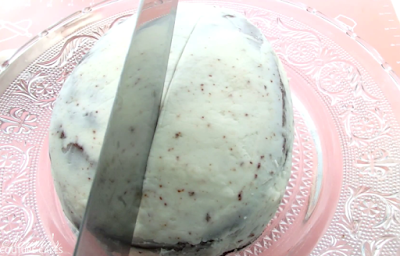 Use a large knife to create the center gap and separate both hemispheres. We're not cutting the cake, just using it as a spacer, you can also use a ruler for this. 8. In a bowl add 1/2 cup of strawberry cake filling, 1/4 cup of water and a couple drops of burgundy or maroon gel dye. Mix to combine. Depending on brand of filling, another 1/2 cup of water may be added to thin the sauce out. It should be a jelly like consistency but slightly runny. 9. Spoon the sauce down the center of the brain, and fill in any small gaps between the fondant pieces. 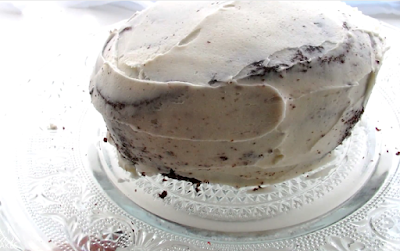 Allow some of the "blood" to drip down the cake and also smear some on the cake plate.